Registration Lists for Essex CC (NO, OO & PU). We have produced an index for all HJ series which can be downloaded Here. The eleventh issue of Historic Journal is now available.The September 2017 edition of HJ contains it.. 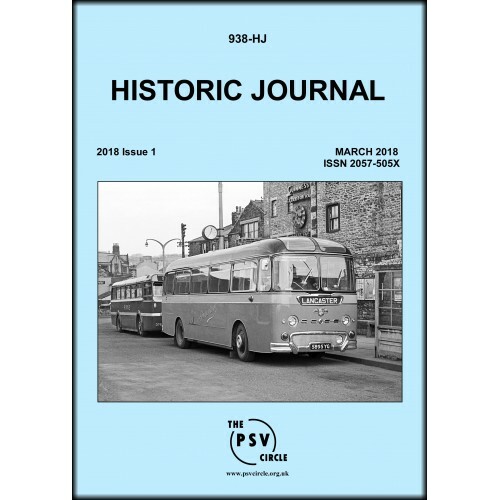 The twelfth issue of Historic Journal is now available.The December 2017 edition of HJ contains item.. The January 2018 edition of OJ contains updates on:Australia (Sydney, Sealink)Belgium (De .. 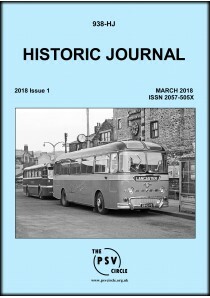 The February 2018 edition of BJ contains updates on Preserved Vehicles, Showmen, Tr.. The April 2018 edition of OJ contains updates on:Albania (ex-UK)Australia (Sydney, Hobart,.. The May 2018 edition of BJ contains updates onPreserved VehiclesDealersDisplay and Demon.. The July 2018 edition of OJ contains updates on:Australia (Dennis, Optare & Wright)Aus.. The August 2018 edition of BJ contains updates onPreserved VehiclesDealersDisplay and Demo..